The hills are alive with the sound of 900 newton meters of torque. 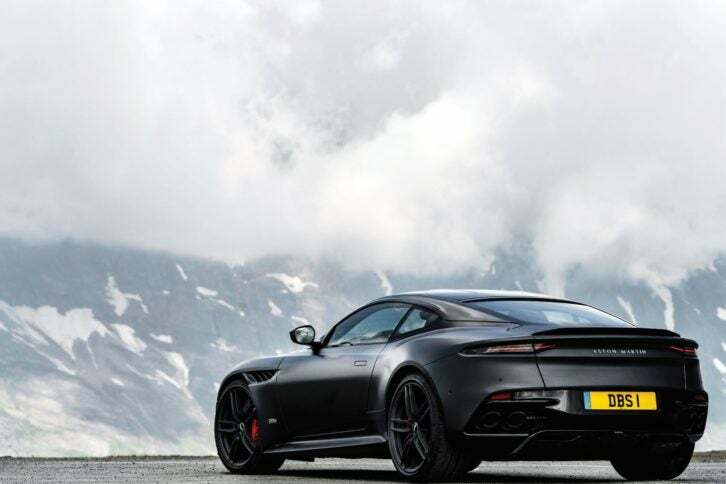 A curt pop-pop-pop of the exhaust gives way to a throaty rumble as Aston Martin’s new flagship 715-horsepower DBS Superleggera settles into its Alpine atmosphere. 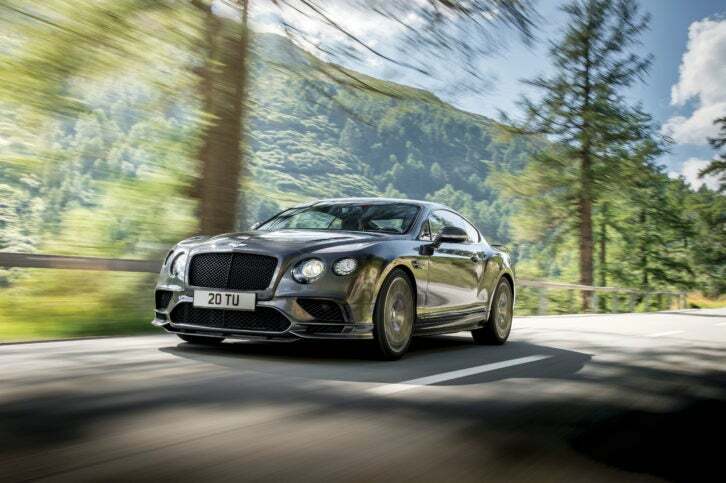 On the Austrian border some 2,297 ft above sea level in the German town of Berchtesgaden, the crimson “brute in a suit,” so coined by Marek Reichman, Aston’s chief creative officer, outshines its already stunning surroundings. The DBS Superleggera is the third of seven automobiles introduced within a seven-year period—known as the Second Century plan—by the newly profitable 105-year-old British brand. Devised to compete in the luxury car market’s stratosphere, the DBS Superleggera, which takes 200 man hours to produce, lives up to its name thanks to the high degree of carbon fiber laced throughout. “It feels like it’s been in the gym,” Reichman notes, pointing to the roof, hood, brakes, front splitter and rear fixed blade, all of which utilize the superlight material. Inside the cabin, Bridge of Weir’s supple leather seats (hand-stitched by a single seamstress to ensure the pair always matches) create a relaxed environment. Take heed; the rear seats are more suited to weekenders and picnic baskets than pets or children. Its apparent likeness to the DB11, the 2016 grand tourer credited with jump-starting Aston’s renaissance, ends with the push of the engine button. The DBS Superleggera goes from zero to 62 mph in 3.4 seconds and tops out at 211 mph. After a few hours of technical driving through the German and Austrian countryside, the cabin warms up and the ventilated seats go from accessory to necessity. 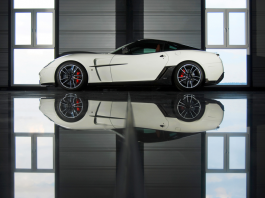 Taking a design cue from Jaguar, which recently added its name just above its leaping cat vehicle badge, the Gaydon-based company opted to spell out Aston Martin in an all caps, 144-point font across the rear of the car. This isn’t simply another vehicle for James Bond to drive, it’s a brand proclamation and a promise of what’s to come.